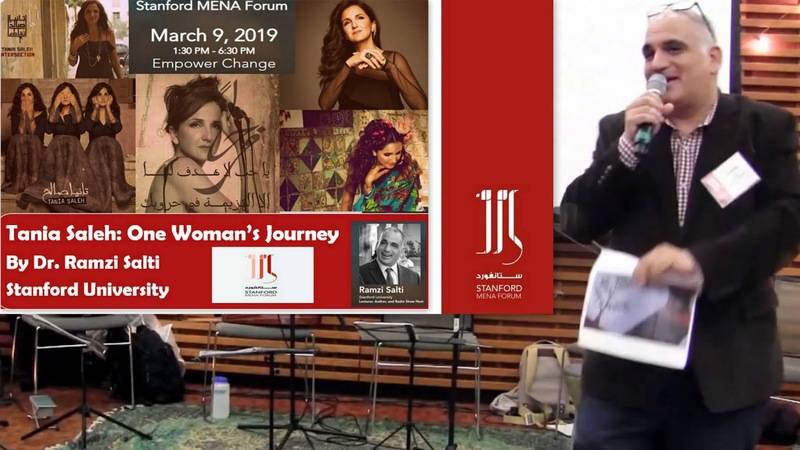 You can now watch video highlights from Dr. Ramzi Salti's audio-visual talk about Lebanese singer/songwriter/visual artist Tania Saleh​--recorded at the Stanford MENA Forum​ on March 9, 2019. 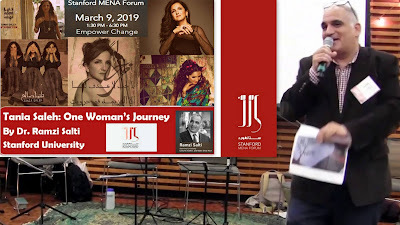 This lecture included short video clips + music excerpts from Tania Saleh's impressive oeuvre (used for educational purposes only). 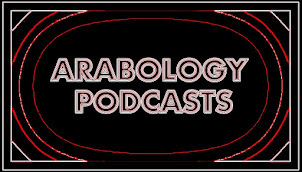 Dr. Ramzi Salti is a Lecturer at Stanford + Host of the popular radio program "Arabology" which airs on KZSU 90.1 FM (Stanford).